Clinical trials represent an arduous step in the drug development process and are crucial to understanding the safety and efficacy profiles of novel therapeutic interventions. As these trials are prone to delays, and can even fail altogether, they impose an immense financial pressure on sponsors. Amongst several known challenges, patient recruitment is considered to be one of the rate limiting steps when it comes to getting drugs to the market. It is estimated that 80% of clinical trials do not meet their designated patient enrolment deadlines. In fact, around 37% of research sites fail to meet their subject accrual goals, while more than 10% don’t even enroll a single patient. In addition, retaining patients is also a matter of concern, considering that the approximate dropout rate across clinical studies is around 30%. Delays in product launch, due to inability of the sponsors to recruit / retain patients, are highly common and are estimated to result in an average loss of USD 8 million per day in opportunity costs, for a blockbuster drug. 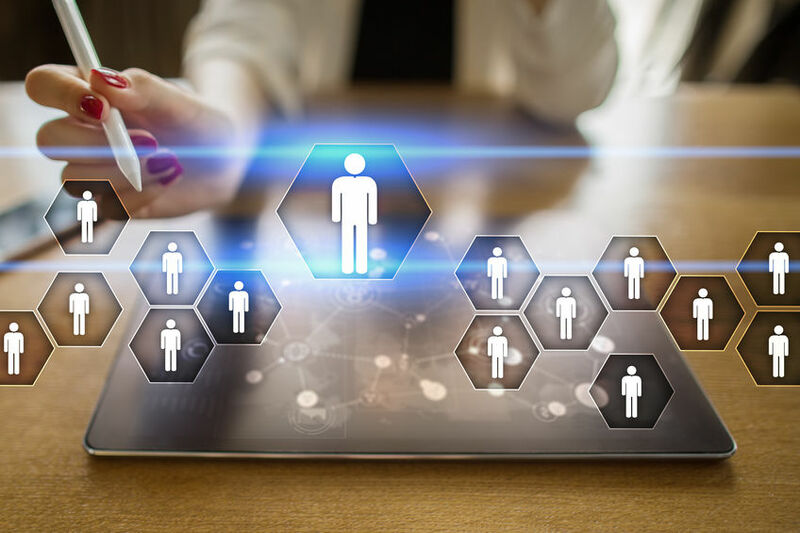 The abovementioned challenges have led several players in the pharmaceutical industry to outsource their patient recruitment-related needs to capable, specialty service providers. Employing contract service providers has been shown to expedite the patient recruitment process. Such service providers employ a variety of outreach methods, such as social media, mobile technologies, electronic health records (EHRs) and real-world evidence (RWE), and, over time, have attained a vital role in the successful conduct of clinical research. Although some big pharma players carry out patient recruitment in-house, the growing complexity of clinical trials and demand for niche patient populations for studies evaluating orphan drugs / personalized medicines is likely to prompt more developer companies to outsource various aspects of their clinical research-related operations in the foreseen future. In fact, the market has recently witnessed the establishment of several partnerships, which include agreements between study sponsors and patient recruitment firms (outsourcing deals) and partnerships between stakeholders aimed to combine their respective services portfolios related to patient recruitment and retention (service alliances). This niche services industry has also witnessed some consolidation as multiple smaller players have been acquired by more established entities, in an effort to expand geographical reach. Scope of the Report The ‘Patient Recruitment and Retention Services, 2019-2030’ report offers a comprehensive study of the current scenario and future potential of the players providing patient enrollment and retention services. The study features an in-depth analysis, highlighting the capabilities of the various stakeholders in this domain. In addition to other elements, the study includes: A detailed assessment of the current market landscape of companies offering patient recruitment and retention services, including information on over 10 types of patient outreach methods employed, types of services offered ([A] patient recruitment (including pre-screening and Institutional Review Board (IRB) / Ethics Committee (EC) submission), [B] patient retention (considering various strategies, such as the use of study-branded gifts, study-branded reminders, providing education and support materials, reimbursement programs, transportation programs, patient engagement web site, patient reconnect programs, mobile applications to track patient engagement and others) and [C] other associated services (including site identification and selection,study feasibility / protocol development, project management, clinical trial monitoring and other services), year of establishment, geographical location, and size of company. The chapter also covers an analysis of the geographical reach and therapeutic expertise of service providers, along with details on the payment model, patient recruitment platforms / technologies used, and the various certifications / accreditations awarded by regulatory bodies. An analysis of the most active regions (in terms of patient recruitment activity), based on the locations of headquarters of companies engaged in this domain, featuring schematic world map representations that highlight key hubs across the globe. An insightful 2X2 representation of the results of a competitiveness analysis of various service providers (segregated into three peer groups based on their employee count (small-sized (1-50 employees), mid-sized (50-200 employees) and large (>200 employees)), highlighting capable players in this domain, based on their respective capabilities. Comprehensive profiles of patient recruitment and retention service providers, featuring information on the location of their headquarters, year of establishment, patient recruitment services / platforms portfolio, recent developments and a comprehensive future outlook. An analysis of the partnerships that have been established in the recent past, covering outsourcing agreements, service alliances, acquisitions, joint ventures, mergers, technology licensing and development agreements, and other forms of partnerships. A review of emerging trends in the industry, including the use of social media, mobile technologies, EHRs and RWE, to overcome the challenges associated with patient recruitment and retention. One of the key objectives of the report was to estimate the existing market size and review the potential growth opportunities for patient recruitment service providers over the coming decade. Based on several parameters, we have provided an informed estimate of the likely evolution of this market in the short to mid-term and long term, for the period 2019-2030. In addition, we have segmented the future opportunity across [A] therapeutic area (oncology, infectious diseases, cardiovascular diseases, CNS disorders, respiratory disorders, metabolic disorders, and others), [B] steps in patient recruitment process (pre-screening and screening), [C] phases of development (phase I, phase II, phase III and phase IV), and [D] different global regions (North America, Europe, Asia-Pacific and rest of the world). In order to account for the uncertainties associated with some of the key parameters and to add robustness to our model, we have provided three market forecast scenarios portraying the conservative, base and optimistic tracks of the industry’s evolution. The opinions and insights presented in this study were influenced by discussions conducted with multiple stakeholders in this domain. The report features detailed transcripts of interviews held with the following individuals (in alphabetical order of company names): Simon Klaasen (Co-founder and Managing Director, Link2Trials) Hagit Nof (Chief Operation Officer and Business Development, nRollmed) Paul Ivsin (Managing Director, Seeker Health) All actual figures have been sourced and analyzed from publicly available information forums and primary research discussions. Financial figures mentioned in this report are in USD, unless otherwise specified. For more than five decades, contact lenses have primarily been used to correct vision-related disorders. The existence of several unmet needs in the field of ophthalmology, recent technological advances and the availability of new biomaterials, have substantially expanded the range of potential application areas for contact lenses. It is estimated that close to 2.4 million eye injuries occur every year in the US. In order to cater to this demand, a myriad of therapeutic contact lenses have been developed specifically for treating / protecting the eye. The efficient delivery of drugs / other therapeutic substances to the eye is also deemed to be an area for improvement. It is presently characterized by low bioavailability and limited exposure time to pharmacological interventions; for instance, in the case of eye drops, 95% of the active therapeutic ingredient is assumed to be lost / wasted post dose administration. A variety of drug-eluting contact lenses have been / are being developed to address the aforementioned challenges. The potential of contact lenses is being explored for diagnosis and disease monitoring purposes as well. Diabetes and glaucoma are key clinical conditions for which contact lenses are being developed to assess and track various disease related parameters. In fact, 10 contact lenses have already been approved for purposes other than vision correction; recent examples include CUSTOMFLEX® ARTIFICIALIRIS (aniridia, 2018) and EYEMATE® (glaucoma, 2017). On the other hand, according to the National Eye Institute, nearly 1.3 million people are blind, while 2.9 million individuals have poor vision, in the US. It is estimated that the number of cases for blindness and poor vision are likely to reach 2.2 million and 5 million, respectively, by 2030, in the same region. Visual prosthetics, such as bionic eyes, represent the next generation of solutions for vision restoration. Their unique mechanism of action leverages electrical pulses to stimulate optic nerves and bypass damaged segments of region in the eye. 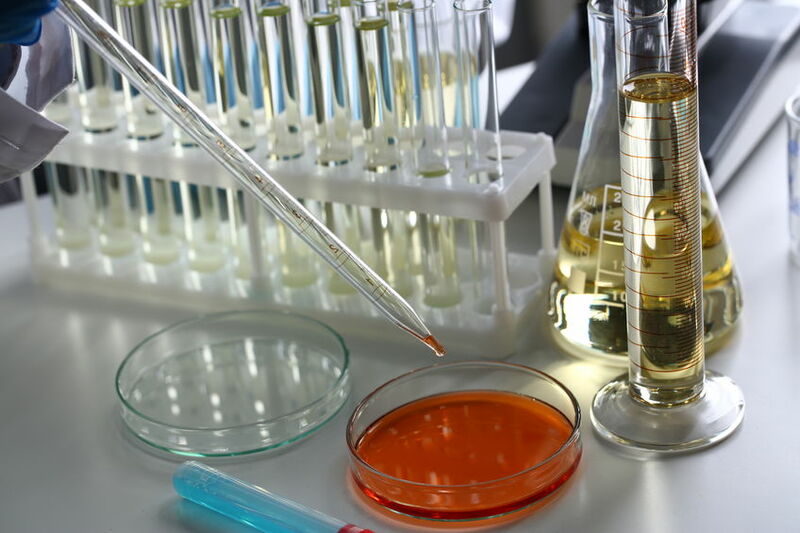 Pharmaceutical companies and academic institutions have already invested a significant amount of capital in the development and commercialization of the abovementioned products. The ongoing efforts to innovate in this domain are evident from the fact that more than 7,500 patents have been granted / filed since 2013. In the coming years, the market is anticipated to grow at a significant pace as more novel solutions clear clinical evaluation and get commercialized. Scope of the Report The “Next Generation Contact Lenses and Visual Prostheses Market, 2019-2030” report features an extensive study of the current market landscape of therapeutic contact lenses, drug-eluting contact lenses, diagnostic / monitoring contact lenses and visual prostheses. The study lays emphasis on the novel products and technologies that are being developed for the treatment of ocular disorders, which generally cause severe visual impairment or blindness. Amongst other elements, the report includes: A detailed review of the landscape of novel ophthalmic products, highlighting the different categories of contact lenses and visual prostheses (bionic eye technologies) developed / being developed by various players across the world. It features information on the purpose of development (therapeutic, drug delivery, and diagnosis / monitoring), current development status, target indication(s), type of product, type of organization (industry or non-industry) and location of company headquarters. An analysis of the key promotional strategies that have been adopted by the developers of marketed products, namely ChromaGen™, CUSTOMFLEX® ARTIFICIALIRIS, EYEMATE®, Hyper-CL™, Implantable Miniature Telescope and SENSIMED Triggerfish®. 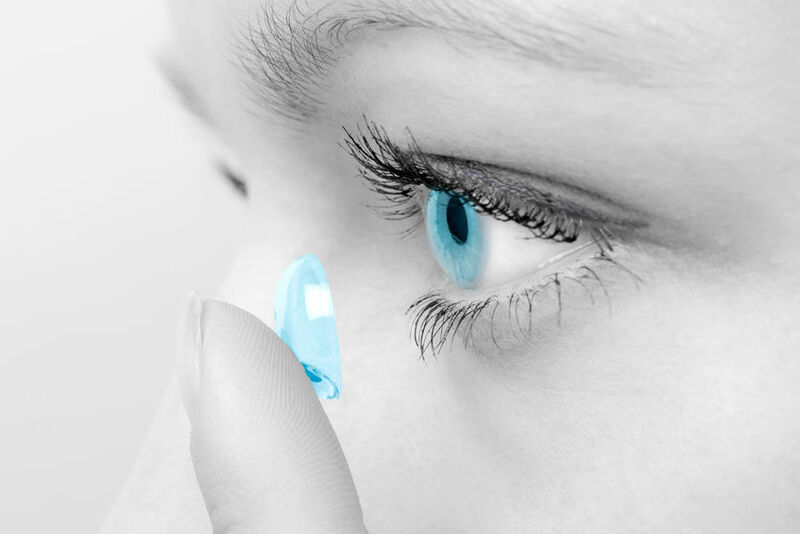 Brief profiles of the novel technologies that are being developed to expand the functionality of contact lenses; each profile features an overview of the technology, along with details on its working mechanism, information on application areas, type of products, key benefits, technical specifications and important details related to the developer company. An in-depth analysis of the various patents granted / filed related to next generation contact lenses and visual prostheses since 2013, highlighting the prevalent and emerging related to the innovation in this domain. The analysis takes into consideration the type of patent, regional applicability, CPC classification, emerging focus areas, leading industry / non-industry players (in terms of the number of patents filed / granted), and patent valuation. An analysis of the partnerships that have been established in this domain, covering R&D agreements, product development agreements, product commercialization agreements, service alliance and acquisitions; the analysis is based on multiple parameters, such as the type of agreement, type of organization, and focus area in terms of product application and target indication. A study of prevalent and emerging trends, and the popularity of next generation contact lenses and visual prostheses, as observed on the social media platform, Twitter. The analysis takes into consideration the tweets posted on the platform, between 2013 and 2018 (till mid-October). A list of key opinion leaders (KOLs) in this domain, featuring a 2X2 analysis to assess the relative experience of certain individuals, who were shortlisted based on their contributions (in terms of involvement in various clinical studies) to this field. It includes a schematic world map representation, highlighting the geographical locations of eminent scientists / researchers engaged in this domain. In addition, it presents an analysis assessing the credibility and (relative) level of expertise of different KOLs based on number of publications, number of citations, number of clinical trials, number of affiliations and extent of professional network. One of the key objectives of the report was to determine the existing market size and develop estimates of future growth opportunities for next generation contact lenses and visual prostheses. Based on parameters, such as the target patient population, price of the lenses and the likely adoption rates, we have provided an informed estimate on the likely evolution of the market over the period 2019-2030. The report also features a detailed segmentation of the present and anticipated future opportunity based on [A] type of product (contact lenses and visual prostheses) [B] purpose of development of contact lenses (therapeutic, drug delivery and diagnosis / monitoring) [C] key disease indications (glaucoma, diabetes, AMD, retinitis pigmentosa and others) and [D] geography (North America, EU5 and Asia-Pacific). In order to account for future uncertainties and to add robustness to our model, we have provided three market forecast scenarios, namely the conservative, base and optimistic scenarios, which represent different tracks of the industry’s evolution. The opinions and insights presented in this study were also influenced by discussions conducted with several stakeholders in this domain. The report features detailed transcripts of interviews held with Mark E Byrne (Co-Founder and Chief Technical Officer, OcuMedic), Michal Shavit (Head of Sales and Marketing, EyeYon Medical and Praful Doshi (Founder, Chief Executive Officer and Chief Technical Officer, Leo Lens Technology). All actual figures have been sourced and analyzed from publicly available information forums and primary research discussions. Financial figures mentioned in this report are in USD, unless otherwise specified. Given their high target specificity and limited toxicity compared to small molecule drugs, biotherapeutics have revolutionized treatment paradigms across a myriad of clinical conditions, including metabolic disorders, cancers, neurological disorders and autoimmune disorders. In fact, the extent of growth of such therapies can be gauged from the fact that more than 300 biopharmaceuticals have been approved between 2002 and 2018. In 2018, over 15 biological license applications (BLA) received approval. Previously, in 2017, 12 new biologics were approved by the US FDA, which included antibodies (9), antibody-drug conjugates (1), and enzymes (2). Such products are inherently complex, and their full potential continues to remain untapped owing to an array of concerns associated with their development, manufacturing and administration. Specifically, the challenges associated with the delivery of such drugs can be attributed to their large molecular weight, short half-lives, and instability in the gastrointestinal (GI) tract and intestinal lumen. Owing to their susceptibility to enzymatic degradation, the parenteral route of administration is considered to be the most acceptable mode of delivery, enabling such drugs to directly enter systemic circulation. However, parenteral administration often requires patients to visit healthcare centers / clinics for dosing. As a result, non-adherence to prescribed therapeutic regimens is rampant among end-users. Despite these challenges, the demand for biologics is high because of their favorable safety profiles, greater systemic compatibility and fewer side effects. As a result, medical researchers and therapy developers are actively attempting to identify and exploit alternative delivery strategies for such products; examples include aerosol generation systems, lipid nanoparticles, DNA-based delivery technologies, and brain shuttles (designed to facilitate increased drug penetration across the elusive blood-brain barrier). Currently, several biopharmaceutical companies have undertaken initiatives to develop cell-specific drug delivery technologies and have superior formulation technologies, imparting improved release properties to drugs being delivered. Consequently, pharmaceutical developers are likely to witness a rise in available options for the delivery of their respective products in the foreseen future. 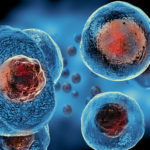 Scope of the Report The “Novel Technologies for Delivery of Proteins, Antibodies and Nucleic Acids, 2019-2030” report features an extensive study of the current market landscape and the likely future adoption of such technologies, over the next twelve years. The study features an in-depth analysis, highlighting: A detailed assessment of the current market landscape of companies offering technologies for delivery of biotherapeutics, including information on their geographical location, types of biologics delivered (proteins, peptides, antibodies and nucleic acids), routes of administration used (parenteral, oral, transdermal / topical, inhalation and others) and impact on drug properties / patient compliance. A comprehensive competitiveness analysis of the drug delivery technologies captured in our report database, taking into consideration the supplier power (based on year of establishment) and key technology-related specifications, such as the type(s) of biologics delivered, extent of impact on drug properties / patient compliance and the route of administration. Elaborate profiles of prominent technology developers engaged in this domain, featuring a brief overview of the company, its financial performance (if available), information on its product portfolio, recent developments and a comprehensive future outlook. Additionally, the report includes profiles of certain technologies that emerged as relatively superior in our proprietary competitiveness analysis. An in-depth analysis of the various patents that have been filed / granted related to novel drug delivery technologies, till November 2018. It includes information on key parameters, such as patent type, publication year, issuing authority, CPC classification, emerging focus areas and leading industry / academic players (in terms of size of intellectual property portfolio). A detailed analysis of the partnerships and collaborations focused on technologies for the delivery of biotherapeutics, featuring a comprehensive set of analyses based on various parameters, such as the year of establishment, type of partnership, type of therapeutic areas, most active players and geographical location. A discussion on the upcoming opportunities in the field of biotherapeutic drug delivery that are likely to impact the evolution of this market in the coming years. One of the key objectives of the report was to estimate the existing market size and identify potential future growth opportunities for novel technologies designed for the administration of proteins, antibodies and nucleic acids. Based on likely licensing deal structures and agreements that are expected to be signed in the foreseen future, we have provided an informed estimate on the evolution of the market over the period 2018-2030. The report features likely distribution of the current and forecasted opportunity across the [A] type of therapeutic area (oncology and non-oncology), [B] route of administration (parenteral and non-parenteral), [C] key contributing technologies and [D] key geographical regions (North America, Europe, Asia Pacific and rest of the world). In order to account for future uncertainties and to add robustness to our model, we have provided three market forecast scenarios, namely conservative, base and optimistic scenarios, representing different tracks of the industry’s growth. The opinions and insights presented in this study were influenced by discussions conducted with multiple stakeholders in this domain. The report features detailed transcripts of interviews held with the following individuals (in alphabetical order of company names): Mathias Schmidt (Chief Executive Officer, ArmaGen) Ram Bhatt (Chief Executive Officer, Chairman and Founder, ICB International) Donovan Yeates (Chief Executive Officer and Chief Scientific Officer, Chairman and Founder, KAER Biotherapeutics) All actual figures have been sourced and analyzed from publicly available information forums and primary research discussions. Financial figures mentioned in this report are in USD, unless otherwise specified. Chronic kidney disease (CKD) is characterized by progressive loss of kidney function over a period of time. In most patients suffering from CKD, symptoms (such as swollen ankles, blood in urine and foamy urine) are rarely observed until kidney function has declined by 75%. It is worth highlighting that over 90% of the patients suffering from reduced kidney function are unaware of their medical condition.In the US, 15% of adults are reported to be suffering from mild or severe forms of CKD.In fact, the mean global prevalence of CKD, across all five stages of the disease, is estimated to be 13.4%. Limited availability of epidemiological data, lack of awareness, late diagnosis and inappropriate / incorrect treatment are some of the factors responsible for elevating disease incidence. It is also worth noting that developed nations spend over 2-3% of their annual healthcare budget on the treatment of end-stage renal disease (ESRD); however, the economic burden associated with milder forms of CKD is almost double the total costs incurred in the treatment of ESRD. Further, in the US, the disease has been estimated to incur combined direct and indirect costs ranging between USD 1,183 - USD 35,292 per patient, per month. Existing therapeutic options have already been proven to be inadequate in containing the progression of the disease and its symptoms in the long term. Currently, several stakeholders in the pharmaceutical industry are engaged in efforts to advance the development of various types of disease modifying pharmacological interventions and therapies that offer symptomatic relief. In fact, multiple initiatives by start-ups are being backed by venture capital funding in order to expedite the development of potential therapeutic options for better disease management. 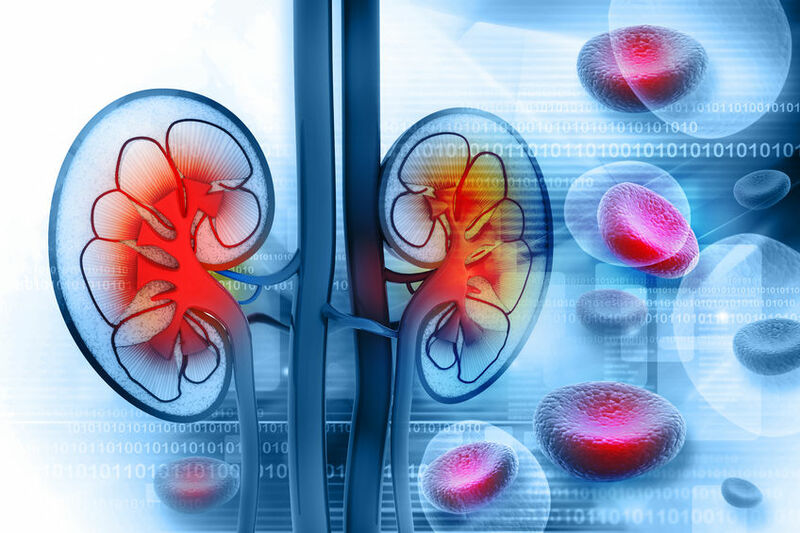 Scope of the Report The “Chronic Kidney Disease Market: Pipeline Review, Developer Landscape and Competitive Insights” report provides an extensive study on the marketed, clinical and preclinical molecules available / being developed for the treatment of chronic kidney disease. Figure 1 summarizes the scope of the report and the specific modules that have been covered in detail in the document. Figure 1 Chronic Kidney Disease: Scope and Competitive Insights Amongst other elements, the report includes: A detailed assessment of the current market landscape, providing information on drug developer(s), phase of development (marketed, clinical and preclinical / discovery stage), type of molecule (small molecule or biologic), treatment type (disease modifying agent or drugs offering symptomatic relief), mechanism of action, and route of administration of the drugs being developed for the treatment of chronic kidney disease. 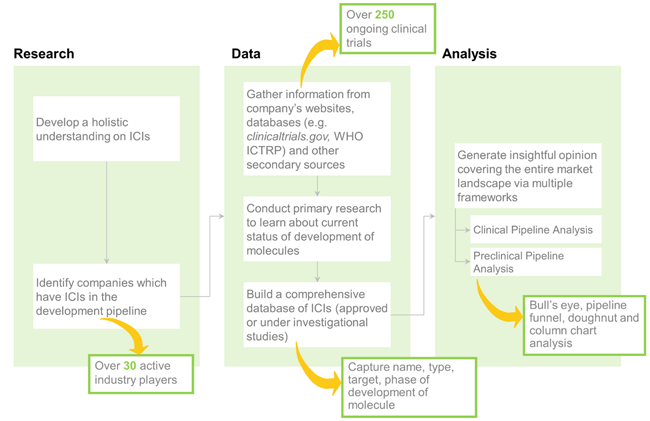 An in-depth analysis of the product pipeline and developer companies, featuring three schematic representations; these include [A] a heptagon representation, highlighting the distribution of the marketed and development stage molecules based on the target clinical condition, [B] a 2X2 grid analysis, representing the distribution of drug candidates across various disease indications, dosing frequencies and stages of development, and [C] a diagrammatic representation of the regional landscape of industry players involved in the development of drugs in this domain, distributed based on the location of their headquarters. An insightful market assessment summary, highlighting the clinical and commercial attractiveness of pipeline molecules (phase II and phase III), taking into consideration size of enrolled patient population (for the trial in the highest phase of development), route of administration, treatment type (disease modifying agent and drugs offering symptomatic relief) and dosing frequency (for quantifying clinical attractiveness), and target patient population, expected launch date and size of developer company (for quantifying commercial attractiveness). An analysis highlighting the key unmet needs across chronic kidney disease, featuring insights generated from real-time data on unmet needs as identified from social media posts, recent publications, patient blogs and the views of key opinion leaders expressed on online platforms. An insightful competitive analysis, highlighting the key players in the domain on the basis of the strength of their respective development portfolios, taking into account company size and the stage of development of lead molecules in their respective pipelines. A detailed analysis identifying the key opinion leaders (KOLs), featuring a 2X2 analysis to assess the relative experience of certain KOLs who were shortlisted based on their contributions (in terms of involvement in various clinical studies) to this field. An analysis of the partnerships that have been established in the recent past, covering R&D collaborations, licensing agreements, mergers and acquisitions, product development and commercialization agreements, manufacturing agreements and others An analysis of the investments made at various stages of development in companies that are focused in this area, including seed financing, venture capital financing, debt financing, grants, capital raised from IPOs and subsequent offerings. The research, analysis and insights presented in this report is backed by a deep understanding of insights gathered from secondary sources. The opinions and insights presented in this study were influenced by inputs of several key players in this domain. All actual figures have been sourced and analyzed from publicly available information forums and inputs from primary research. Financial figures mentioned in this report are in USD, unless otherwise specified. The success of the Human Genome Project resulted in the generation of large volumes of genomic data, which is extensively used in biotechnology and medical research. Further, advancements in high throughput gene sequencing technologies have enabled scientists to expedite the genome sequencing process, and achieve significant cost benefits as well. In fact, it is estimated that, by 2025, around 15% of the world’s population will have had their genomes sequenced, resulting in the generation of several zettabytes of data. However, currently, there are not many reliable and secure data management resources that offer secure storage, seamless exchange of information, and a reliable transaction platform, for large volumes of genomic and clinical data. Therefore, at this stage, it has become important to develop and establish the necessary tools and technologies to effectively help with the processing and analysis of the aforementioned information and for making it easily accessible to practicing physicians, scientists, pharmaceutical companies and other stakeholders. The blockchain technology has emerged as a viable option to store / exchange genomic data. 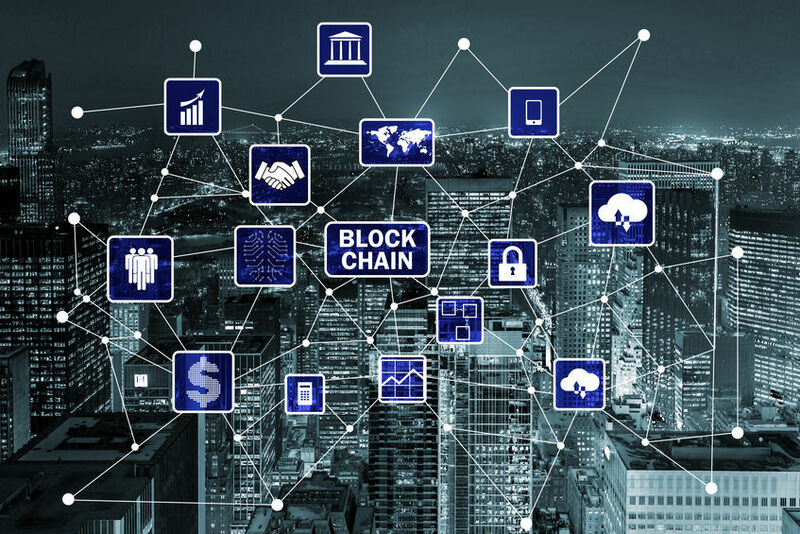 The decentralized information management model used in blockchains has demonstrated significant benefits in banking and the fintech industry. Moreover, cryptocurrencies, which are based on the blockchain technology, are considered to be a powerful tool for peer-to-peer transactions without involving a third party to track the exchange. In the field of genomics, blockchain can act as a trusted means of carrying out transactions between data owners and data users (research groups / pharmaceutical companies). Moreover, such platforms enable easy access to genomic datasets, thereby, significantly improving the information procurement process for research studies related to personalized drugs / therapies. As a result, many companies have undertaken initiatives to promote the use of the blockchain technology for genomic data management. In fact, the growing importance of blockchain for managing genetic information and using it in healthcare decision-making is also evident in the number of tweets (~1,750) posted on the social media platform, Twitter, in the recent years. In the past few years, recent activities in this domain, such as the establishment of strategic partnerships (involving pharmaceutical players and relevant government bodies) and investments by venture capital / other stakeholders, indicate that the concept of using blockchain platforms for the storage and management of genetic information is gaining traction in the healthcare industry. We believe that such efforts are likely to boost the overall growth of this market in the coming years. Scope of the Report The ‘Blockchain in Genomic Data Management: Market Landscape and Competitive Insights, 2018-2030’ report features an extensive study on the industry players that are offering blockchain platforms for the storage and management of genomic data. Amongst other elements, the report features: An overview of the current status of the market with respect to companies providing blockchain platforms, along with information on year of establishment, geographical location, company size, type of business model used, types of services offered to data owners and data users (pharmaceutical companies / research institutes), proprietary blockchain platforms and utility tokens, and end-users (pharmaceutical companies, research institutes, genomic data providers (patients and healthy individuals), software developers, and insurers). Tabulated profiles of all the players engaged in this field, featuring a brief overview of the company, and details on funding (if available), types of service(s) offered, proprietary blockchain platforms and utility tokens, key historical milestones, information on partnership(s) (if available), recent development(s) and roadmaps / future plans (if available). An analysis of the prevalent and emerging trends related to this domain as represented on the social media platform, Twitter, highlighting the most frequently talked about utility tokens, active players, and influential authors. It includes an insightful sentiment analysis, summarizing the impact / influence of various tweets posted on the platform. A comparative analysis of the needs of different stakeholders (pharmaceutical companies, research institutes, patients, healthy individuals, insurers and government agencies) in this industry. A detailed analysis highlighting the various business models and go-to-market strategies adopted by companies involved in this space. It features details on the various channels adopted / being adopted by companies to raise awareness and promote the use of their proprietary products / services. An informative bubble analysis, highlighting the market capitalization of the utility tokens of different companies engaged in this domain, based on total maximum supply, circulating supply and token price. A list of recent use cases of blockchain platforms, by pharmaceutical companies, highlighting the ways in which such tools / services have been used to manage and analyze genomic data. An insightful opportunity analysis, featuring an estimation of the existing market size; based on multiple parameters, we have also provided an informed estimate on the potential growth opportunities for companies engaged in this domain over the period 2018-2030. An analysis of various developments / recent trends related to companies offering blockchain platforms for genomic data management, offering insights on [A] instances wherein companies have raised funds to support their respective initiatives, [B] partnership and collaborations established within the industry, [C] other initiatives undertaken by different companies, [D] recent global events (summits, conferences and annual meetings), and [E] views expressed / opinions of selected key opinion leaders / industry experts on social media platforms, such as YouTube. The opinions and insights presented in this study were also influenced by discussions conducted with several stakeholders in this domain. The report features detailed transcripts of interviews held with the following individuals: David Koepsell (Chief Executive Officer, EncrypGen) Jake Dreier (Director of Growth and Operations, SimplyVital Health) Aldo de Pape (Chief Executive Officer, Genomes.io) and Louis Gooden (Analyst, Genomes.io) All actual figures have been sourced and analyzed from publicly available information forums and primary research discussions. Financial figures mentioned in this report are in USD, unless otherwise specified. Poor adherence to prescribed medications is a growing concern in the healthcare industry and is believed to be associated with negative health outcomes, inflated medical expenses, loss in productivity and, in certain cases, proves fatal as well. It has been estimated that, of the ~4 billion annual prescriptions filled by the retailers in the US, approximately 50% are not taken by patients in accordance to physicians’ instructions. According to the US Centers for Disease Control and Prevention (CDC), failure to comply to prescribed treatment regimens has been identified as the cause of 125,000 premature deaths, up to 69% of all rehospitalizations, and results in approximately USD 100-300 billion worth of avoidable annual healthcare spending. Further, the US pharmaceutical industry alone is estimated to suffer a loss of approximately USD 188 billion per year, due to low adherence to prescribed medications. Lack of compliance to therapy is particularly prevalent among elderly patients suffering from chronic clinical conditions, such as cardiovascular disorders, metabolic disorders (e.g., diabetes), neurological and central nervous system related disorders (e.g., multiple sclerosis and Parkinson’s disease) and respiratory disorders (e.g., asthma and chronic obstructive pulmonary disease). It is estimated that overall cost of treatment for non-adherent patients is at least twice as high as patients who adhere to recommended therapy regimens. Studies have demonstrated that every one percent improvement in medication adherence can help the US healthcare industry save up to USD 2 billion, resulting in an increase in pharmaceutical revenues by ~USD 4 billion. As a result, several strategies have been / are being developed by pharmaceutical developers and healthcare providers to improve medication adherence. Such initiatives have been strengthened owing to the availability of connected devices and other digital solutions, which allow patients / healthcare providers to closely monitor and improve drug adherence. Scope of the Report The ‘Drug Adherence Enhancement Market: Devices and Applications, 2018-2030’ report features an extensive study of the current landscape and future outlook of the growing market for smart medication adherence devices that are either already commercialized or under development. This burgeoning field presently offers a lot of opportunities to innovation-driven start-ups and investors. Amongst other elements, the report features: A discussion on the current market landscape of smart drug delivery devices for medication adherence (which include smart inhalers, smart injectors, smart wearable injectors and smart pills), featuring information on the developers, along with details on key product specifications, namely audio / visual reminders, connectivity features (USB connection, Bluetooth and / or cellular network), availability of companion mobile application(s) and / or web portal(s), data storage / cloud platform options, and availability of battery backup / rechargeable batteries. A discussion on the current market landscape of smart accessory devices for medication adherence (including smart medication dispensers, smart pill bottles / caps, smart pill boxes and smart blister packs), featuring information on the various developers, along with details on key product specifications. The section also presents a list of compliance packaging systems, along with information on their developers. A summary of the various guidelines issued by regulatory authorities to govern the development and approval of combination products (drugs and smart devices) across different geographical regions. Detailed profiles of some of the leading players in the industry (based on a proprietary shortlisting criteria), highlighting a brief overview of the company, financial information (if available), details related to its products / offerings, clinical trial results, recent developments and a comprehensive future outlook. Detailed case studies on the most common chronic disease indications, featuring disease epidemiology, an overview of the economic burden imposed due to non-adherence to prescribed treatment regimens and a history of drug development efforts along with details on the evolution of delivery devices / strategies for improving therapy adherence. A comprehensive competitiveness analysis of connected smart drug delivery systems and smart accessory systems on the basis of supplier power and key product specifications. An analysis of funding and investments made in companies focused in this domain; the analysis covers information on seed financing, venture capital financing, debt financing, other equity financing and grants / awards received by these companies. An analysis of the partnerships that have been forged between companies in the recent past, covering acquisitions, treatment optimization agreements, distribution agreements, manufacturing and supply agreements, product improvement agreements, product development agreements, product commercialization agreements, licensing agreements, service alliances and other relevant deals inked in the period 2010-2018. It also highlights the number of intercontinental and intracontinental deals signed in the aforementioned time period. A list of standalone mobile applications that have been developed / are being developed to enable patients to adhere to prescribed medication regimens, along with the USFDA’s regulations related to such applications. It also includes details on the various articles / publications that have reported the results achieved by using mobile applications for improving medication adherence among patients. One of the key objectives of the report was to understand the primary growth drivers and estimate the future size of the market. Based on various parameters, such as target consumer segments, likely adoption rates and expected pricing, we have provided an informed estimate on the likely evolution of the market in the short to mid-term and long term, for the period 2018-2030. 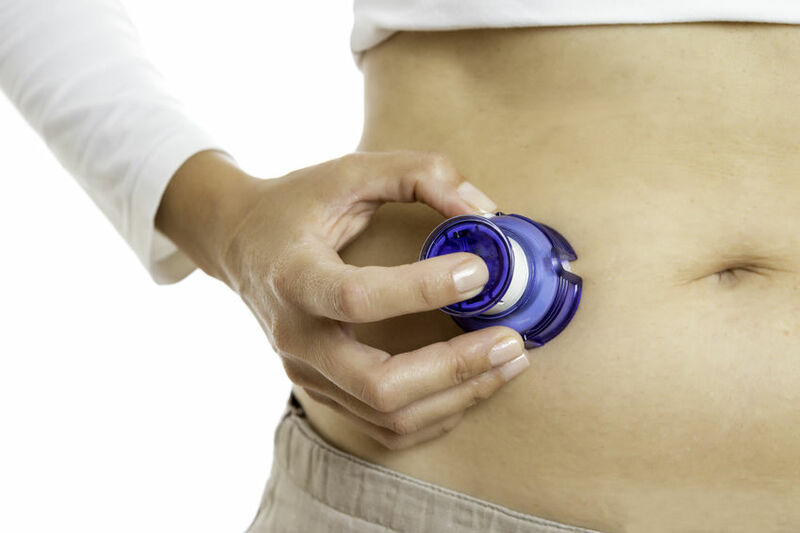 We have segmented the market by type of solution (smart drug delivery devices and smart accessory devices), type of product (smart inhalers, smart injectors, smart wearable injectors, smart pills, smart medication dispensers, smart pill bottles / caps and boxes, smart blister packs and others), therapeutic areas (metabolic disorders, cardiovascular disorders, neurological and central nervous system related disorders, respiratory disorders, and others), route of administration (oral, injectable, inhalable and others) and geography (North America, Europe, Asia-Pacific and rest of the world). To account for the uncertainties associated with the development of these novel therapies and to add robustness to our model, we have provided three forecast scenarios, portraying the conservative, base and optimistic tracks of the market’s evolution. The opinions and insights presented in the report were also influenced by discussions held with senior stakeholders in the industry. The report features detailed transcripts of interviews held with the following individuals: Bernard Vrijens (Chief Executive Officer, AARDEX Group) Spencer Waugh (Chief Executive Officer, AceAge) Josh Stein (Chief Executive Officer, AdhereTech) Duilio Macchi (Chief Executive Officer, Amiko Digital Health) Gaurav Patel (Chief Technical Officer, Cognita Labs) Tina Valbh (Strategy and Business Development (Advisor), etectRx) Jonathan Sacks (Chief Executive Officer and Chairman, PharmAdva) Timo Heikkilä (Co-Founder and Chief Operating Officer, Popit Technologies) Moore Greenberg (Founder, Wealth Taxi) Anonymous (Small-sized company) All actual figures have been sourced and analyzed from publicly available information forums and primary research discussions. Financial figures mentioned in this report are in USD, unless otherwise specified.